Editor’s Note: This is the second article featuring news from police reports. Besides covering the many stories from around Park Forest that otherwise might go unnoticed, we want to bring more complete coverage of police reports than is reported by other local media. It was not simply a matter of showing up at the police station and asking to see reports. We worked for several months at eNews to establish this publication as a fully credentialed news source. The police were very once again accommodating when we went to the station to read reports. Two file reports were presented to our reporters, each one filled with reports of police calls. Officers were nearby ready to answer any questions our reporters had regarding specific calls. We are reporting this information because the public in the United States has the right to know, unlike any other nation in the world. When that information is withheld or under-reported, it leaves questions. 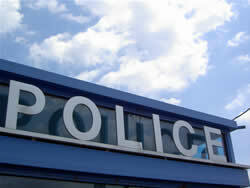 We also want to show the work that the police force does every day that is not reported. Police in Park Forest respond to over 23,000 calls per year. Whether it’s conducting a routine investigation, pulling over a drunk driver, or responding to a possible theft at a store, the work of the police officer needs to be taken into account by the public. We intend not only to report on crime, but on cases solved as well. Jamie N. Giles, 26, 233 Indianwood Blvd., Park Forest, was arrested and charged with resisting a peace officer on December 10, 2006. A mink coat valued at $7,755.00 was reported stolen on December 25, 2006, in the 100 block of Main Street. Andre D. Johnson, 31, 8 Allegheny Ct., Park Forest, was charged with reckless discharge of a firearm and possession of a defaced firearm for allegedly shooting a shotgun on New Year’s Eve. An officer was dispatched to the 300 block of Waverly to investigate a residential burglary incident.On January 1. Three juveniles were arrested on January 1 in the 3400 block of Western Ave. One was charged with domestic battery, underage consumption of alcohol, and disorderly conduct. Another was charged with underage consumption of alcohol, and the third was charged with aggravated assault, resisting arrest, and underage consumption of alcohol. A washer and dryer were reported stolen on the 200 block of Arcadia on January 2. Police were called to the 3200 block of Western Ave. on January 3 to investigate a telephone harassment complaint. A juvenile was reported as missing from the 200 block of Arrowhead on January 3rd, 2007. A Playstation 2 game was reported stolen in the 0 to 100 block of Apache on January 3. Police were called to assist with a house on fire in the 200 block of Arcadia on January 4. Police were dispatched to the 200 block of Forest Blvd. to speak to an alleged victim of domestic battery, on January 4. Tiffany R. Corbin, 24, 28 Olympic Village, Apt. 10, Chicago Heights, was charged with domestic battery. Police were called to a domestic disturbance on January 4 in the 100 block of E. Sycamore. Tyrone L. Whitted, 27, 121 Indiana, Park Forest, was arrested and charged with possession of cannabis on January 6. Officers responded to a burglary in process stopped by the resident in the 200 block of Lee on January 6th. Kevin L. Murray, 26, 330 N. Francisco, Chicago, was arrested in the 3600 block of Western Ave. and charged with domestic battery on January 6. Graffiti was reported on several fences in the 100 block of East Rocket Circle.On January 6th. Officers were dispatched to a business in the 0 to100 block of S. Orchard, on January 6, to investigate a retail theft. Four blue boxes each containing a watch and two blue boxes each containing earrings or a necklace were reported stolen. Steven E. Schreiner, 27, 3921 W. 78th St., Merrillville, IN, was arrested in the 300 block of Sioux on January 7 and charged with domestic battery and criminal damage to property. A sliding glass door was shattered and a stove reported stolen on January 7 in the 200 block of Allegheny. Police were called to a business in the 0 to 100 block of Forest Blvd. on January 8 to investigate a deceptive practice and fraudulent checks deposited and a withdrawal of $9324.40 against the fraudulent checks. A flowerpot was thrown through the front picture window in the 100 block of Indianwood Blvd. on January 8th. An Xbox 360 and an NBA Basketball game were reported stolen from a bedroom in the 300 block of Orchard.On January 8th. A driver’s side window and tail light were broken in the 410 block of Miami.On January 8th. The driver’s side door of an automobile was reported “keyed” on January 8 in the 300 block of Forest. A driver’s side window was broken in the 300 block of Sauk Trail.On January 8th. Marquan D. McGee, 1514 W. 73rd Pl. Chicago IL, age 24, was charged with possession of cannabis, speeding, no valid drivers license, and failure to wear a seatbelt on Sauk Trail just west of Westwood on January 8th. Graffiti in the form of an upside down pitchfork and the letters “GDK” was reported on a green electrical box in the 330 block of Oakwood on January 9th. A juvenile was reported as a missing person from the 100 block of Indianwood Blvd. on January 9th. A stolen vehicle was recovered in the 400 block of Douglas.On January 9th. officers were dispatched to the 100 block of Elm to report the recovery of a vehicle stolen from that address found in the Cal Sag Canal on January 9th. An officer was flagged down to report a possible theft in the 200 block of Allegheny.On January 10th. Officers responded to a residential burglary complaint in the 400 block of New Salem.On January 10th. Daniel Hock, 21 West 31st St., Steger IL, age 21, was arrested and charged with criminal damage to property in the 3000 block of Western Avenue on January 10th. An officer responded to an alleged burglary to a motor vehicle in the 200 block of Gentry on January 11th.